experimental/electronic musician,sound artist,founder of We Play! Records and Neo Sound new art group and events curator. He’s one of the founders of ChoP, a musical project between China and Poland. Zen Lu is also a member of N2 New Media Art Lab, working and residing in Shenzhen, PRC. Early 2007, Zen Lu founded Shenzhen independent label ‘We Play! Records’ and organizing events with artists from all over the world as well as. Apart from these,he composing music for dramas and movies. 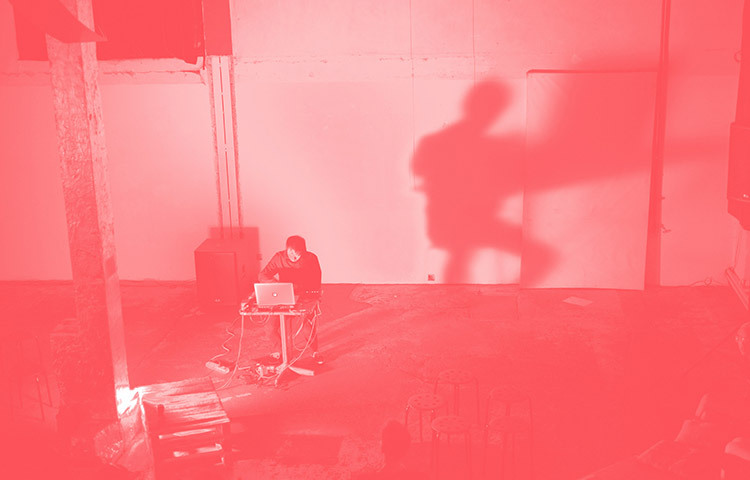 Zen Lu’s minute, meticulous and minimalist digital music style as well as events organized by him and his label has played a major role in bringing a new wave of art activities to Shenzhen, for which the latter has been long considered a cultural desert. New Vision Arts Festival(Hong Kong, China, 2006), SAND Festival(Hong Kong, China, 2006), Asia Europe Music Camp and Clandestino Festival(Gothenburg, Sweden, 2007), Moving Closer International New Media Festival(Warsaw, Poland, 2007), Chinese Sound Art in Poland project(5 cities in Poland, 2007), Get It Louder Exhibition(Guangzhou, China, 2007) , Shenzhen & Hong Kong Bi-city Biennale of Urbanism \ Architecture(Shenzhen, China, 2005 and 2007), SoundReach(Toronto, Canada, 2009), Architecture Is Art Festival(Hong Kong, China, 2009), Warsaw Electronic Festival(Warsaw, Poland, 2010), ChoP on tour in Poland(4 cities in Poland 2010), Expo Shanghai(Germany Pavilion, 2010), 8th Shanghai Biennale(Shanghai, China, 2010), ChoP Tour in Europe(Poland, Czech Republic, Germany, 2011), ChoP Tour in China(2011), Beijing Design Week(2012), German-Chinese Jazz Improvise Meeting Festival(2012, 2013), ChoP Festival(2012, 2013), ChoP +MOSS project Europe tour(2013), re:source festival(2014), Polyphonia Festival(2014), BOK Festival(2015), ID Town Sound Live Art Festival(2016), Polyphonia Festival(2016), XY Europe Tour(2016) and more.